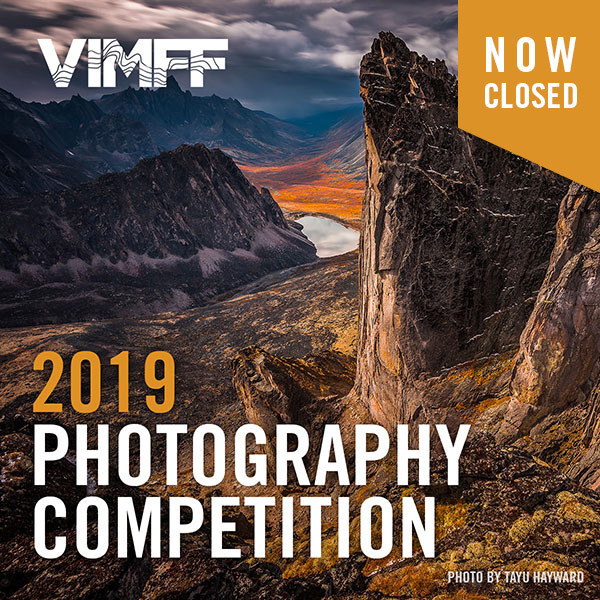 2019 Sneak Peek Into The 22nd Annual VIMFF! 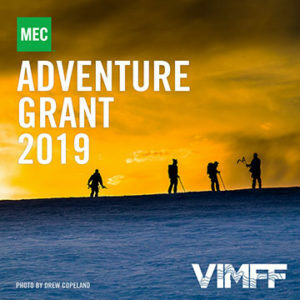 We are excited to give you a sneak peek into our 22nd Annual VIMFF taking place from February 22-March 3, 2019! Read more to get a glimpse into some of the incredible guest speakers and films we have lined up for you. Mark your calendars – tickets for our Guest Speaker program go on sale this Monday, January 21st, and the full program will be released on Monday, January 28th. 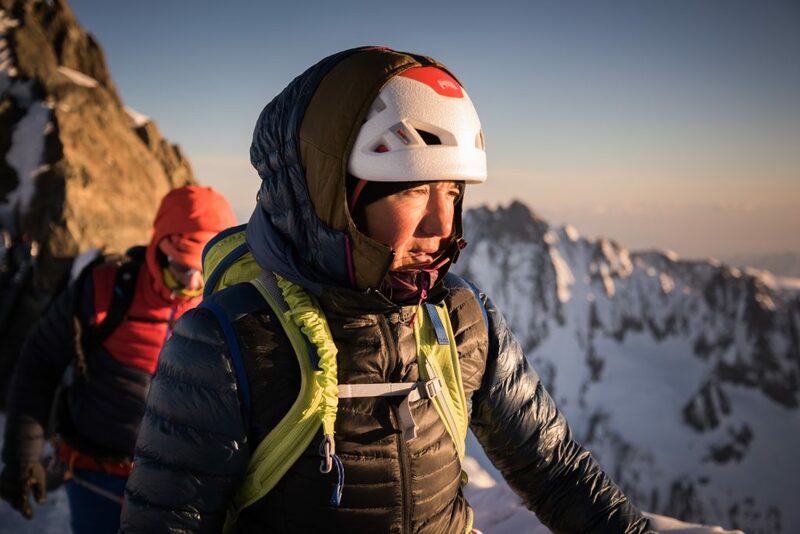 Professional climber, skier & paraglider, Liv Sansoz lives by the words of former U.S. President Abraham Lincoln: “It’s not the years in your life that count. It’s the life in your years.” She began skiing in the French Alps aged 2 and had climbed Mount Blanc by the age of 14. In her teenage years, Liv took up climbing and at 18 had already won a World Championship, followed by many other international victories. In recent years, the soft-spoken and humble Chamonix resident has become an accomplished paraglider, which allows her to see her beloved mountains from yet another vantage point. 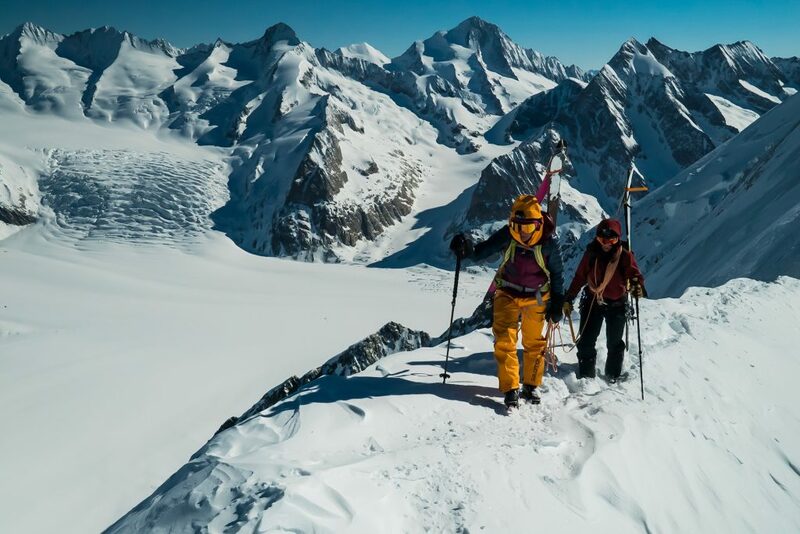 In 2017—together with a revolving list of good friends—Liv set out to climb, ski and paraglide all of the 82 summits above 4,000 meters in the Alps. She completed the project in early 2018. Layered by outdoor, travel, adventure, surf, and lifestyle subjects, Burkard is known for images that are punctuated by untamed, energized landscapes and peak moments of adventure. He has accumulated an audience of over one million followers to become a globally recognized social influencer. 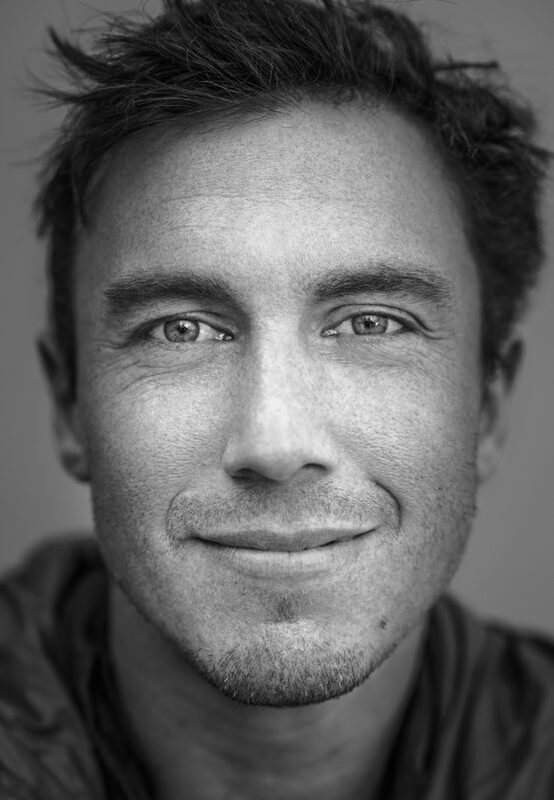 At the age of 30, Burkard has established himself as a global presence and influencer, accomplishing a prolific portfolio, connecting people from around the world and producing some of the most recognized creative work of our time. Filmmaker and writer Brendan Leonard never considered himself a runner, and definitely not an ultrarunner. But a few years ago, he entered his first race, and found that ultramarathons have a lot in common with work—which he’s no stranger to. 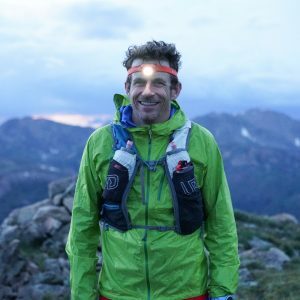 In 2017, he entered his first 100-mile race along with his friend Jayson Sime, and their experience became the film How to Run 100 Miles. In his humorous presentation, Leonard will share stories, philosophize that talent is mostly just hard work, explain the difference between liking something and loving something, and prove that you can dig 2-foot-deep holes for fence posts using only a hand trowel. Sasha is the first North American woman to climb the grade 9a, 5.14d, recognized as one of the hardest sport climbs achieved by a female. She has done two. Sasha was the third woman in the world to accomplish this grade. 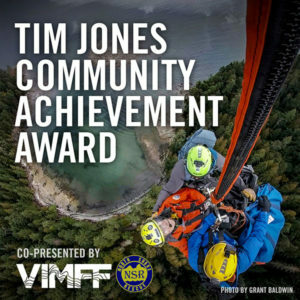 Additionally, she has onsighted multiple 8b+’s, 5.14a’s, ascended groundbreaking multipitch routes of up to 1000 feet of 8c climbing, and has accomplished multiple First Ascents and over 30 First Female Ascents around the world, including a First Female Ascent on the North Face of the Eiger. This last summer, Sasha DiGiulian set out to accomplish the Canadian Trilogy; a series of three 5.14 big walls in the Canadian Rockies. First established by Sonnie Trotter, DiGiulian became the second person in history to accomplish this feat and the first woman. For the first time since, DiGiulian will uncover some never-before seen video footage from the upcoming film, as well as tell her journey along the way. Setting out on her own, enduring injury, withstanding changing weather patterns, and pushing through self-doubt, she will explain how she made this dream a reality and how she prepared for what she could control along the way. 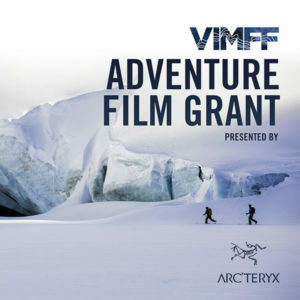 Every February, four dozen athletes are invited to Alaska to undertake a journey which will challenge their bodies and minds, their wills to succeed, and their wills to live. 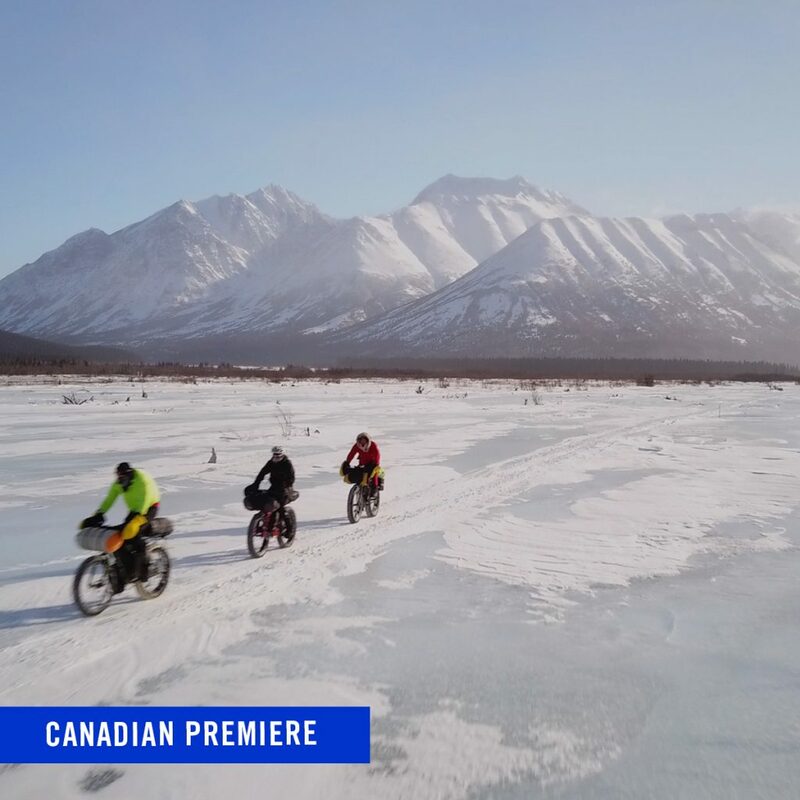 The Iditarod Trail Invitational is the world’s longest, toughest and most remote ultra marathon, challenging competitors to journey 1000 miles across the Alaskan tundra on bike, foot, or ski. More people summit Everest in an afternoon than have made it from Anchorage to Nome on a bicycle. But this year twenty-six racers will attempt the full 1000 miles of the Iditarod Trail. The fastest time recorded is 12 days. The longest is more than 30. It’s the unknowns that bring these elite athletes here year after year in search of purpose and excitement, but it’s those same unknowns that make this one of the most dangerous races on Earth. How willing are you to lose your toes, or your hands, or someone you love. That’s the consequence of not being prepared on the Iditarod Trail. From Innesse Blohina, the acclaimed director of the award winning documentary about surfing On the Wave (with Kelly Slater – 11th World Surfing Champion ), comes her second film She is the Ocean which examines nine extraordinary women from the four corners of the globe who share one thing in common: a profound love for the Sea. A love so profound that they have chosen to make the Ocean the center of their physical, philosophical and professional lives. 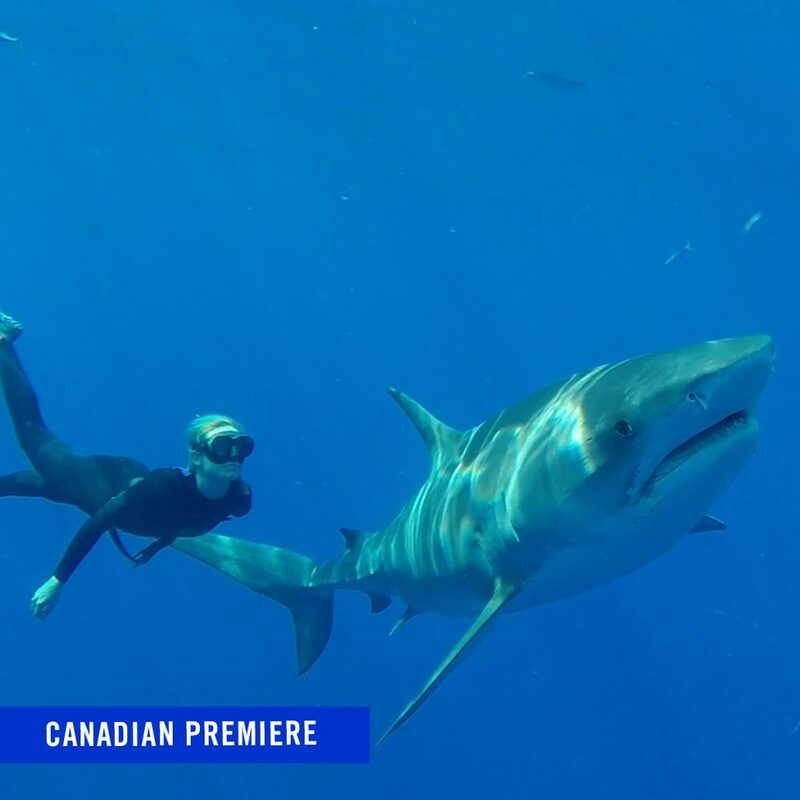 In a unique documentary concept, the director has selected these women, ranging from the ages of twelve to eighty three, in order to create a portrait of what could be a metaphor for one woman’s Ocean life through all her ages. Starting with three women who engage in the thrill of ocean sports, to a famed scientist who plunges into the deepest depths on the edge of human survival, to a cliff diver who is hailed as “The bravest woman in Germany”, She is the Ocean captures the common thread that bonds them together. Both how it has formed their lives and given them meaning beyond the normal constraints of society. Tickets for our Guest Speaker program go on sale this Monday, January 21st, and the full program will be released on Monday, January 28th.